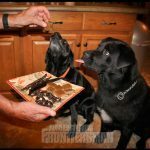 Nutritious homemade dog snacks like liver jerky, dried heart and deer liver brownies are guaranteed to grab your beloved canine companion’s attention. 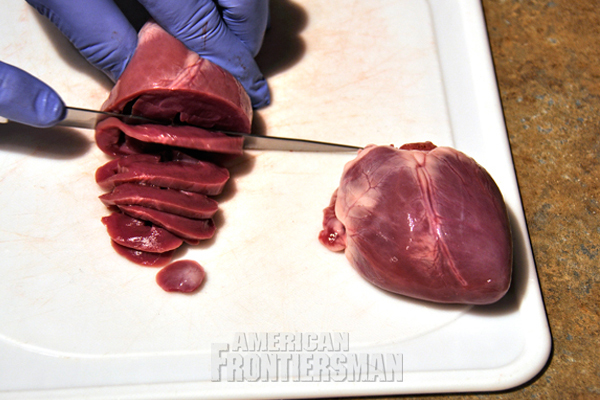 Any wild game heart will work, such as the deer heart shown here. 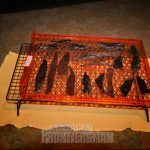 Dry in a dehydrator set at 150 degrees or at an oven’s lowest setting until completely dry yet flexible. 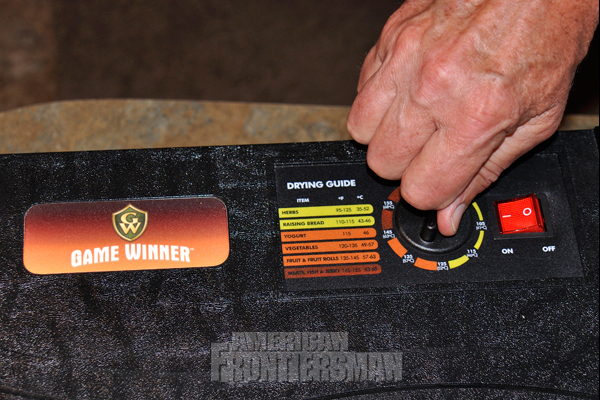 Set the dehydrator to 150 degrees or an oven’s lowest setting. 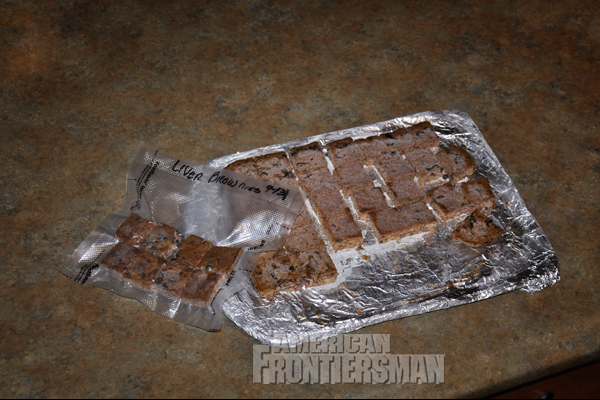 Place strips on racks or trays. 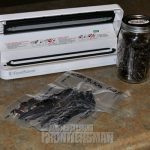 Vacuum seal the jerky and store in a refrigerator, or a freezer for longer storage. 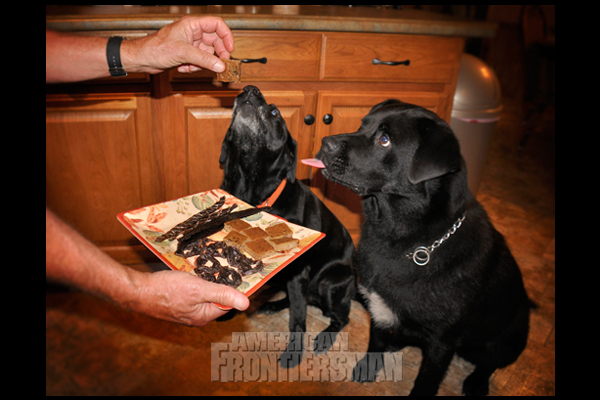 What were primitive man’s first steps toward a bond with canines? The proof of domestication and demonstration of the dog’s value to humans is revealed in ancient burial sites. Dogs were often afforded the same ceremony and respect as humans and buried near their owner. We’ll never know exactly how the partnership between dogs and humans began, though we do know it was based on human needs for assistance with herding, hunting and personal security. In return, the four-legged friends received protection, companionship, shelter and a reliable food source from the alliance. The pioneers who settled this country and Native Americans had a close relationship with their dogs. A dog’s working ability in those days was of paramount importance. 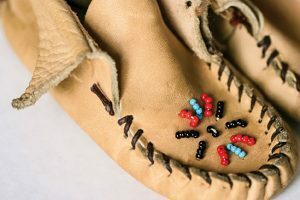 They were used for herding, to put food on the table, trail wounded game, fight dangerous animals, as an early alarm system of approaching strangers and even as a food source. Today, with many owners, their primary value is measured in the faithful companionship of a dog we know and love. 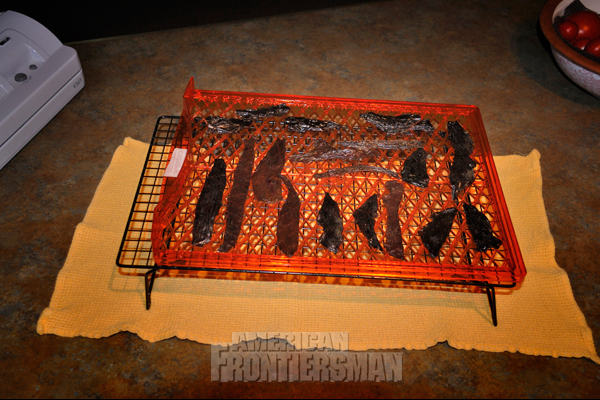 The settlers and natives were masters of wild game utilization. Their lives depended on it. Meat, hair, fur, feathers, bones, horns, antlers, hide, organs, sinew, blood and more served to sustain the pioneers, tribes and their dogs. 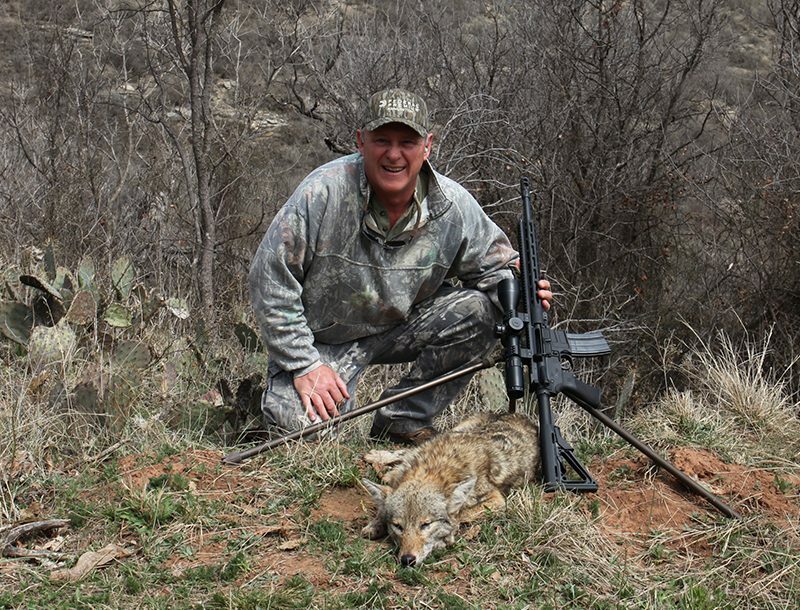 Today, one facet of living a frugal, self-reliant lifestyle similar to the American frontiersmen and women is utilizing as many parts of harvested wild game as possible. 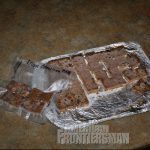 If you hunt or have access to game, consider utilizing the liver, heart and other often discarded parts from deer, elk, moose, caribou, wild pig, game birds, etc., as dried and baked dog snacks. 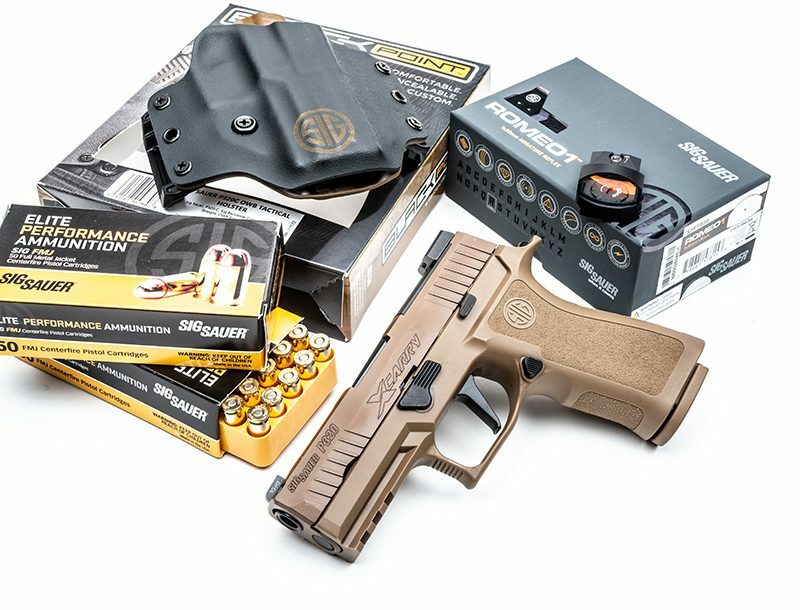 They are simple and economical to make, compact to carry, store well and provide drug- and hormone-free nutritional treats and training rewards for your four-legged friend. 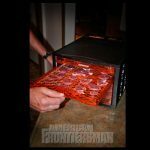 Simply wash and drain the organs or parts, then freeze portions you won’t be immediately processing, preferably in vacuum-sealed plastic bags. 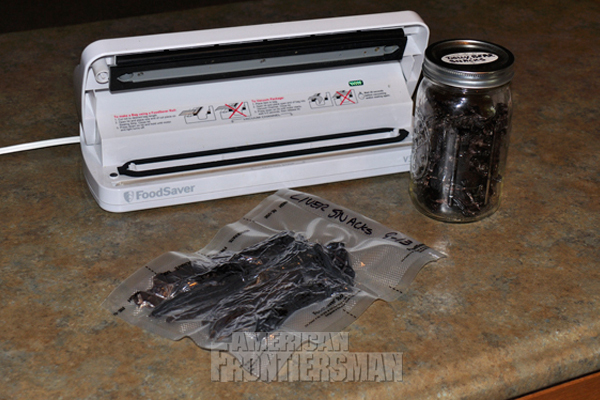 To prolong freezer life, we use a FoodSaver vacuum sealer system. Ziploc bags work fine, too. 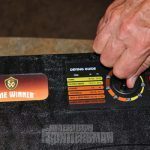 We use a Game Winner electric, six-shelf dehydrator featuring a temperature regulator and a fan to dry wild game snacks. An oven set to a low temperature will suffice. 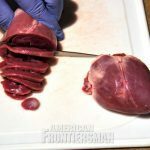 Liver, heart and other organ treats may not be the most visually attractive dog snacks, but trust me, your dog will not care.